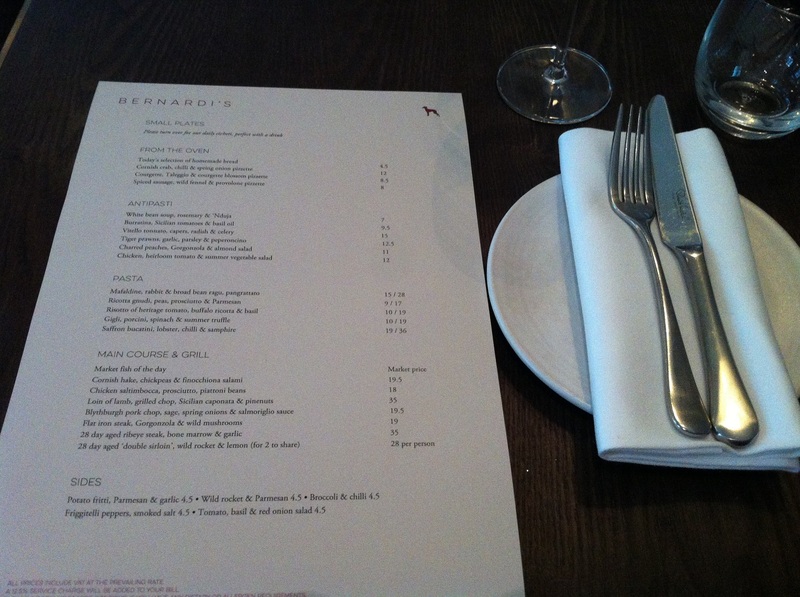 Welcome to an elegant, modern, and stylish Italian restaurant in London! 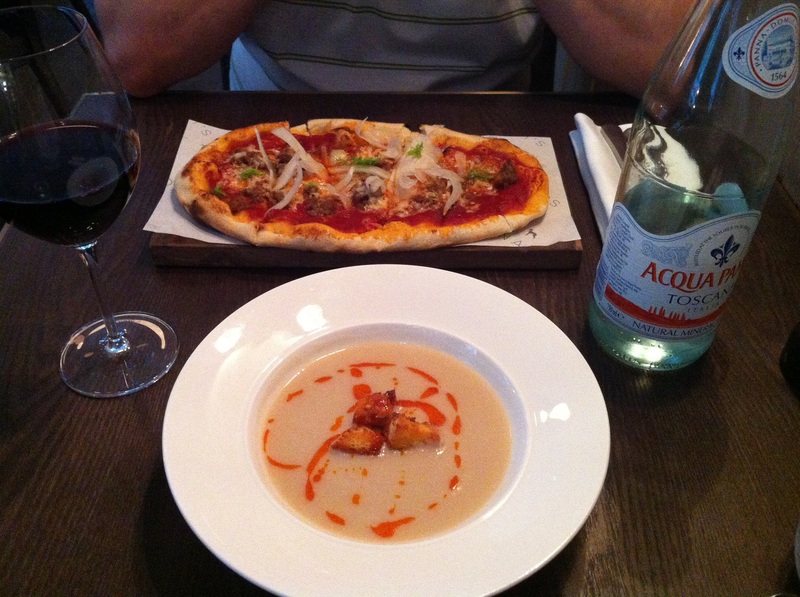 My choice for the antipasti is white bean soup, rosemary & ‘Nduja. While my husband opted for small plate of spiced sausage, wild fennel, provolone pizzette. For drinks, my husband loves his red wine, so he chooses the Sicilian wine. And I just choose the Acqua Panna. For the main course, I choose flat iron steak with Gorgonzola and wild mushrooms. 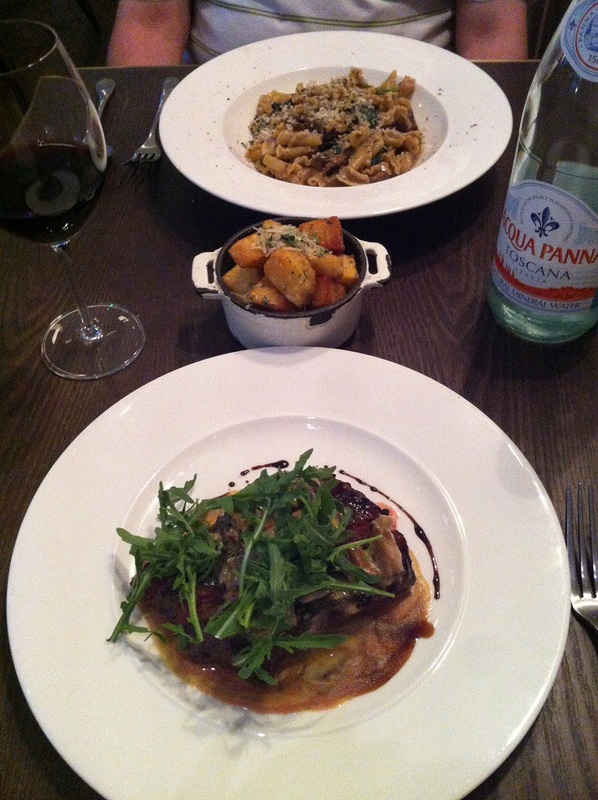 And my husband has gigli with porcini, spinach and summer truffle. We also had a nice dessert: I have two scoops of gelato and my husband has a delicious affogato. All in all a nice evening dinner indeed. Highly recommended!